Like outlaws in the Old West, rainbow trout in the South Fork of the Snake River now have a bounty on their heads. The only way rainbows are wanted is dead. In February, Idaho Department of Fish and Game biologists fitted 575 rainbows with tags that are not visible to the naked eye. Biologists hope anglers will start harvesting the non-native fish to claim cash prizes that range up to $1,000. The bounty is part of a two-pronged plan to kill more rainbows in the famed river. Fish and Game biologists and Bureau of Land Management officials are also putting freezers at two major boat ramps in the hope that more anglers will catch rainbows and donate them to charity. Fish and Game officials are targeting rainbows in response to surveys taken last fall that showed rainbow trout greatly outnumbering cutthroats in the Conant Valley stretch of the river. Biologists worry rainbows will one day take over the river, pushing the cutthroat trout closer to extinction. Yellowstone cutthroats are under siege. They inhabit less than 10 percent of their historic range and their strongholds, such as the South Fork, the Blackfoot and Yellowstone Lake, are threatened by rainbows, pelicans and lake trout, respectively. If current trends persist, Yellowstone cutthroat trout could be listed under the Endangered Species Act, a move that could limit fishing on tributaries, end outfitted fishing on the South Fork and restrict irrigation. Rainbow trout started showing up in South Fork surveys in the mid-1980s. A non-native species, they compete for food and space and they breed with cutthroat trout, creating hybrid offspring. In 1999, biologists liberalized rainbow limits on the South Fork, and in 2004, biologists dropped all restrictions on the number of rainbows anglers could keep. That year, Fish and Game biologists also started working with the Bureau of Reclamation to use water from Palisades Reservoir to help cutthroat and harm rainbows. The idea was to create a controlled flood in the river that limited the ability of rainbow trout to spawn and promoted cutthroat spawning. 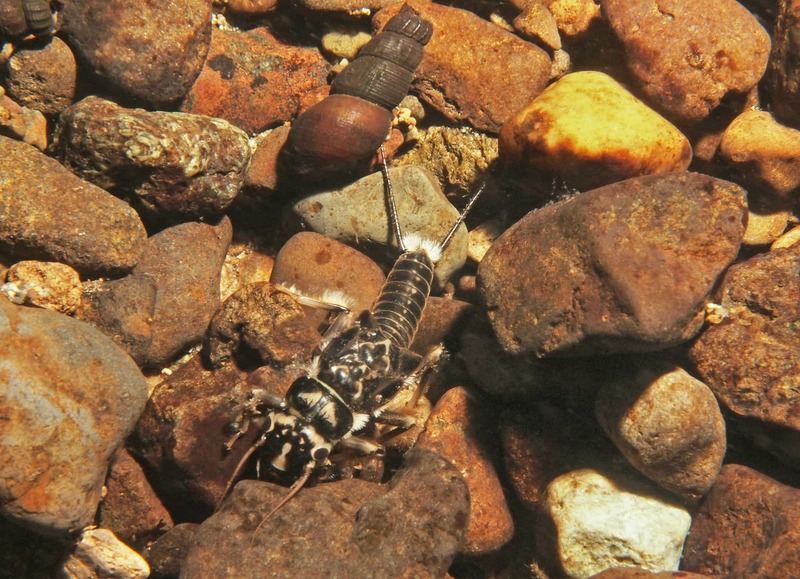 Fish and Game’s moves to control the South Fork’s rainbow population haven’t met with success. Controlled floods haven’t worked because the timing and scope of floods don’t match the Bureau of Reclamation’s primary goals of controlling flooding and holding back water for irrigators. The peaks of the controlled floods haven’t been high enough and the timing of the floods hasn’t synched with the peak of rainbow spawning in the main river. “We recognize flows have a lot to do with rainbow spawning success, and we are seeing that the flows haven’t been there to inhibit rainbow population growth,” Garren said. At the same time, anglers haven’t held up their end of the bargain. A 2009 survey of South Fork anglers found that fishermen were releasing only about half the rainbow they caught. Despite all countermeasures, rainbow numbers have surged. Last year during electro-fishing surveys, biologists found rainbow trout numbers nearly doubled cutthroat numbers around Conant, an “alarming” finding, Garren said. “For the first time, every rainbow significantly outnumbered cutthroat in the South Fork, which makes us really uncomfortable from a conservation standpoint,” he said. There are five rainbows in the South Fork with $1,000 tags in their heads. The idea is simple: People won’t turn back a rainbow if they think it can pay for a year’s worth of fishing. After a day of fishing, anglers can bring the rainbows to Fish and Game’s regional office to be scanned for a tag. If they have a winner, they get a check. The tagged rainbows range from 5 inches to well over 20 inches, Garren said. Fish and Game considered putting a flat bounty on all rainbows, but the managers decided against it because of fears anglers would bring rainbows from the Henry’s Fork. If anglers want, they can put the rainbows in the freezer along with their names. The fish will be scanned at a later time to see whether it has a tag. The freezers will be at Byington Boat Ramp and Conant Boat Ramp. Anglers who don’t want to gut their catch will be able to give it away and know it will go to the needy. Garren said anglers’ tags were only placed in rainbows with white-tipped fins because cutthroats don’t have white fin tips. The Idaho Department of Fish and Game has scheduled a series of meetings to discuss potential fishing rule changes for 2011-12. The meetings were set to hear what changes the public wants. Wednesday at Fish and Game’s Regional Office, 4279 Commerce Circle. March 25 at Mackay High School. March 30 at the Teton County Courthouse in Driggs. April 1 at Pond’s Lodge in Island Park. The deadline for comments is 5 p.m. April 15.